This morning I ventured up the mountain to the Made in Dorrigo street market. Dorrigo is located on the Northern Tablelands at 731 metres (2,398 feet), it’s potato country and normally quite a bit colder than Bellingen, but by the time I reached the top of the mountain, it was an almost balmy 12 degrees. Nevertheless being a bit of a wimp when it comes to cold, I needed a second (and third !!) 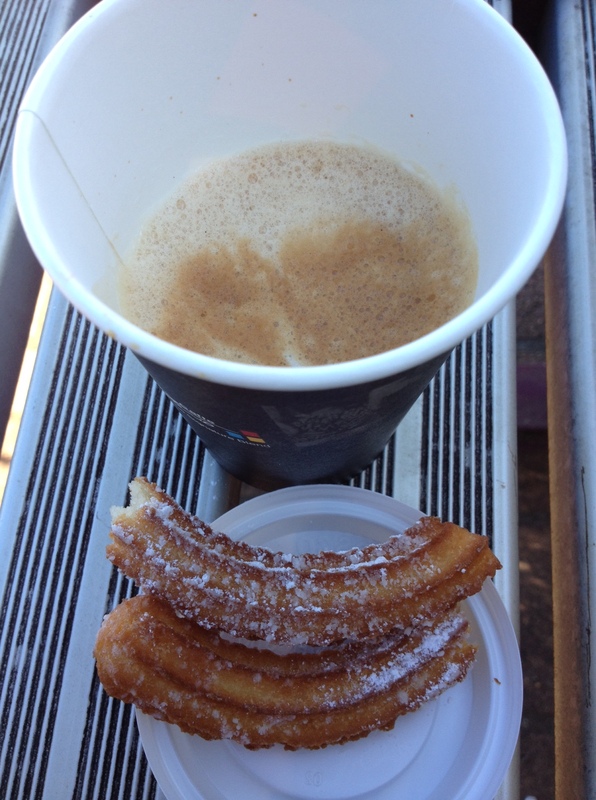 breakfast of coffee and churros to warm me up. Amongst the usual Country Women’s Association type stalls selling knitted and crocheted “things” (and I’m not sure what some of them were) there were a few gems. Like Waterfall Glass, selling beautiful bowls made from recycled glass. 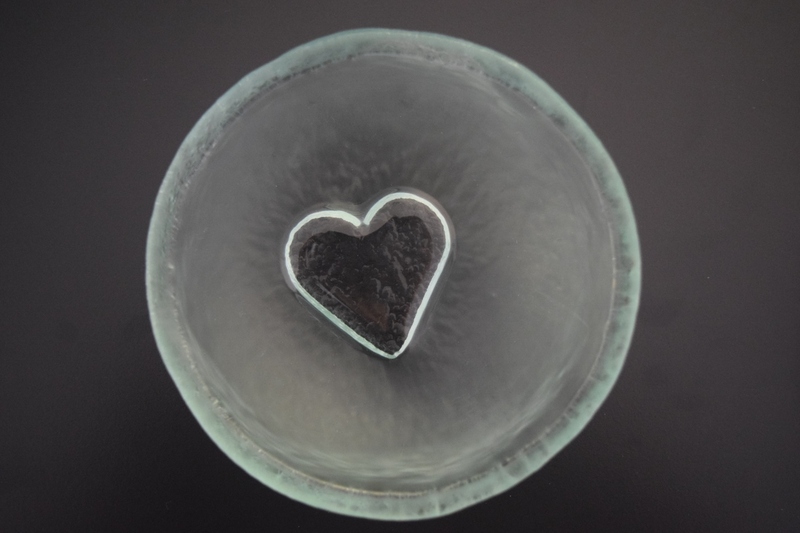 I had to buy this beautiful little heart soap dish. 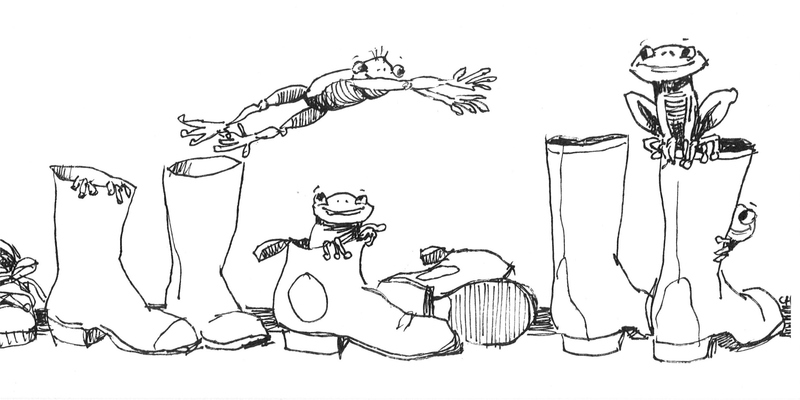 Being a frog-aholic, I couldn’t resist cards drawn by local artist Chris Hundt. Throw in some fresh local produce and tempting home-baked goods and it was definitely worth braving the cold. And next time might hold back on the coffee and churros and warm myself with some of Red Dirt Distillery’s Ginger Liqueur. Churros are essentially a Spanish doughnut, a fried-dough pastry either sprinkled with icing sugar or dipped in melted chocolate. They are very popular in Europe and Latin America. What a lovely little dish. Stick to the coffee if you plan to drive down the mountain…me thinks the ginger liqueur might pack a punch! Perhaps if I have a coffee AND a ginger liqueur I will be OK?